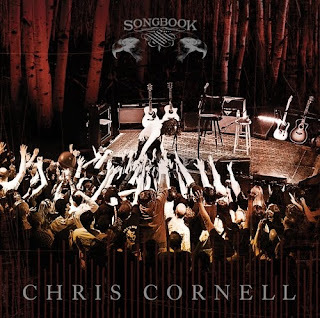 Chris Cornell has unveiled the cover of his forthcoming “Songbook” album, due out November 21. The project is a collection of songs recorded during his first-ever acoustic tour, which he did this past Spring. Things went so well, Cornell is doing another “Songbook” trip this fall; things kick off November 1 in Memphis. All fans who purchase their fall “Songbook” tour tickets online will receive a digital copy of the album with each order. Monday, Cornell offered up a preview of “Cleaning My Gun” from the album. "It's about a guy who loses the love of his life and decides to maybe take himself out," Chris begins, as he introduces the track to the live audience. "Or, at least he's thinking about it. He's writing a song is what he's doing."